This DisplayPort to DVI adapter lets you connect your DP computer to a DVI monitor or projector. The adapter works with DisplayPort computers like your HP Elitebook Revolve 810 G3. 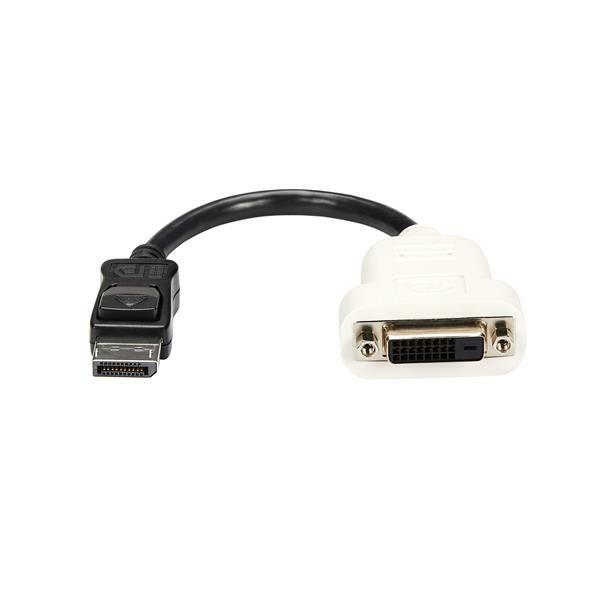 The DP to DVI adapter lets you connect your DisplayPort laptop or desktop computer to a DVI display. 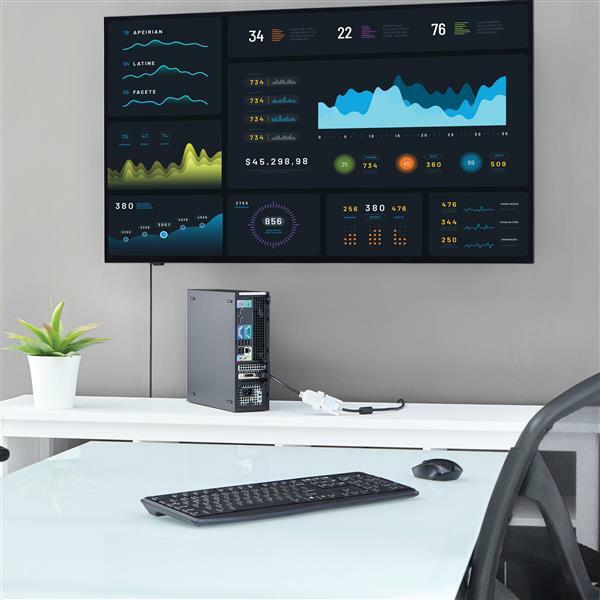 The adapter supports plug-and-play connectivity ensuring a hassle-free setup. 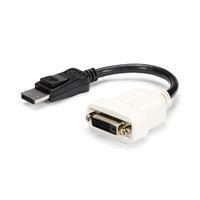 The DisplayPort adapter makes your DP computer fully compatible with existing DVI monitors or projectors in your home or around your office. The DVI connector features nuts that mate with the screws on standard DVI cables, to ensure your video cable won’t get disconnected. 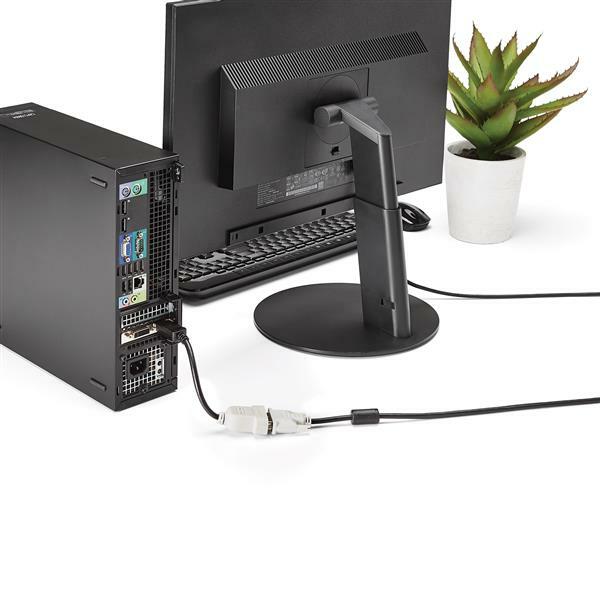 The DisplayPort to DVI converter maximizes portability with a compact, lightweight design, making it the perfect travel accessory to carry with your DisplayPort Ultrabook, fitting easily into your laptop bag or carrying case. This ultra-portable design makes this adapter perfect for BYOD (Bring Your Own Device) applications at the office. 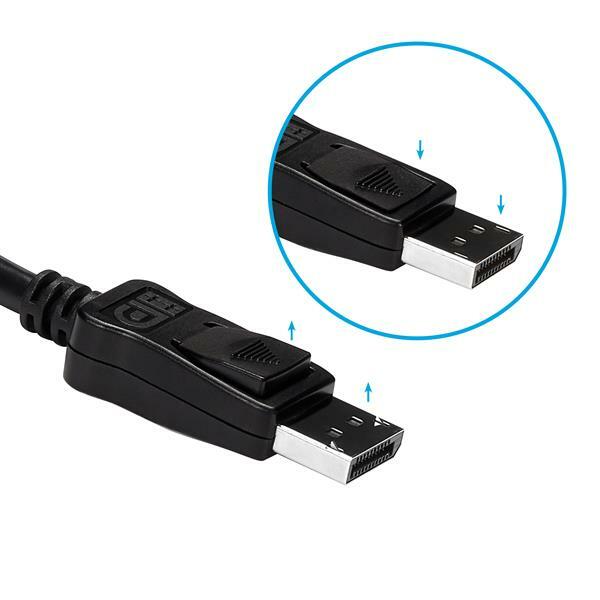 With support for video resolutions up to 1920x1200 or 1080p, you’ll be surprised at the picture quality the adapter provides, even when connected to a legacy DVI monitor or projector. The adapter harnesses the video capabilities built into your DP connection to deliver every detail in stunning high-definition. 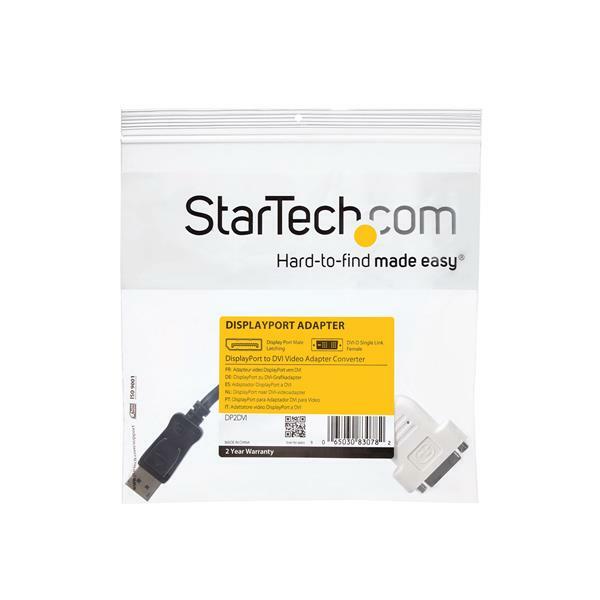 The DP2DVI is backed by a 3-year StarTech.com warranty and free lifetime technical support.